Disconnect the front and rear sunroof drain hoses. Refer to Sunroof Housing Front Drain Hose Replacement and Sunroof Housing Rear Drain Hose Replacement. With an assistant, lower and remove the sunroof module assembly from the vehicle. Place the sunroof assembly on a clean dry surface. Transfer all necessary components to the new module assembly. Secure the harness to the sunroof module. Adjust the sunroof window. Refer to Sunroof Window Height and Opening Fit Adjustment. 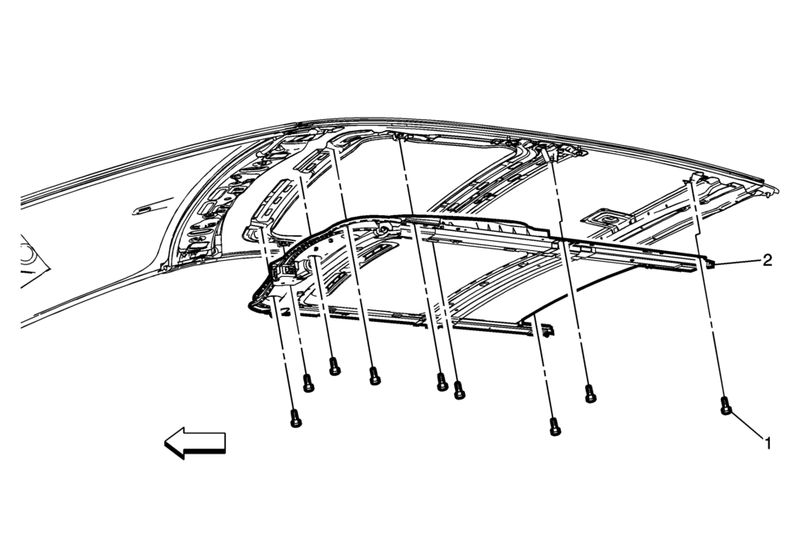 Verify the proper operation of the sunroof before securing the headliner. Ensure the motor/actuator initialization/teach process has been done. Refer to Sunroof Motor/Actuator Initialization/Teach Process.